New Hyundai vehicles will integrate their infotainment systems with Apple's voice-driven personal assistant software. The system requires a compatible iPhone, iPad or iPod touch running iOS 6. The announcement makes Hyundai the tenth major auto maker to announce support for Siri Eyes Free control. The other partners are BMW, Mercedes-Benz, Land Rover, Jaguar, Audi, Toyota, Chrysler, Honda, and GM, which announced support for its Chevy Spark and Sonic models in November. Apple first announced Siri Eyes Free in June when the company took the wraps off the iOS 6 mobile operating system. With Hands Free, the iPhone screen stays off, so it will not distract the driver, and Siri talks back to a user out loud, allowing them to keep their eyes on the road. Dragon Drive: Developed by Nuance, this automotive-grade voice services platform enables drivers to speak naturally and conversationally with in-car systems for tasks such as dictating messages, searching for music, finding real-time weather and asking for directions. Mobile High-Definition Link: Delivers 1080p60 uncompressed video with up to eight channels of digital audio from a mobile device to a dashboard display, all while charging the device. 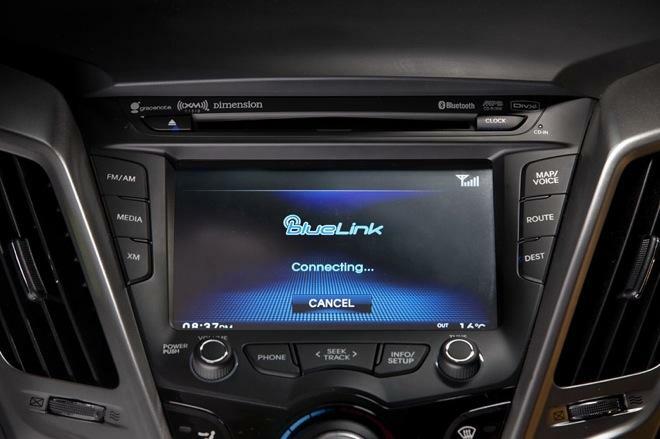 Next-Generation Hardware: Hyundai's new vehicles will feature the latest hardware with high-resolution multi-touch displays, Bluetooth 3.0, and Wi-Fi/3G connectivity options.